CAIN’S DESCENDANTS? If Cain’s line died out in the flood why are they listed as ancestors in 1 Chronicles? 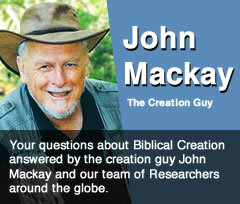 Answer by John Osgood and John Mackay. Let’s start with a covering statement by our resident historian Dr John Osgood, and then check it further by consulting your Strong’s references, then we will finish with a comment on a modern Kenite and Hamite showing some important principles that come to light. Cain’s descendants are not mentioned in 1Chronicles 2:55, which is a reference to a member of one of the families of the Israelite tribe of Judah, settling in the Promised Land. The fact that the name Kenite had any association to the name Cain has no relationship to the Cain of Genesis 4. It is simply a Hebrew root giving rise to this name and can be applied to any person. Strong concordance is about words and Hebrew word roots, NOT about genealogies. The asker shows a skewed understanding of what Strong is saying .This verse is irrelevant to the Cain of Genesis. Kenites: קֵינִי Qêynîy, kay-nee’; or קִינִי Qîynîy; (1 Chronicles 2:55), patronymic from H7014; a Kenite or member of the tribe of Kajin:—Kenite. 1 Chronicles 2:55: And the families of the scribes who dwelt at Jabez were the Tirathites, the Shimeathites, and the Suchathites. These were the Kenites who came from Hammath, the father of the house of Rechab. H7017 Kenites: קֵינִי Qêynîy, kay-nee’; or קִינִי Qîynîy; (1 Chronicles 2:55), patronymic from H7014; a Kenite or member of the tribe of Kajin:—Kenite. H7014: קַיִן Qayin, kah’-yin; the same as H7013 (with a play upon the affinity to H7069); Kajin, the name of the first child, also of a place in Palestine, and of an Oriental tribe:—Cain, Kenite(-s). I know a boat builder named Ken Ham, but he has no direct connection to the Biblical Ham, Hamites or the Kenites. His name is actually derived from the merging of the old Gaelic names Cainnech and Cinaed, now pronounced Coinneach, which were derived from a nickname referring to “handsome”. According to the naming websites which abound these days, the name Cinaed is partly derived from the Celtic aidhu, meaning “fire” which has come down to us in the English pronunciation of Kenneth, and its shortened form Ken. The Cain (Ken) in the old Gaelic form of this name has nothing to do with the Biblical Cain. Likewise the surname Ham is unrelated to pork or people in the Bible, but is an Anglo-Saxon name, originally derived from the Old English word Hamme, which refers to an area of Sussex known by its low-lying land near a stream and given/adopted by a family group of invading Normans. The name first shows up as Ham/Hamm/Hammes in UK rolls on 1272/3. Prior to that the Hams link back to France, via the Norman invasion to the area where the rebuilt castle of Ham still stands in an equally marshy district of the Somme. Gaelic (Gallic) was the common European language of France as well. (France was called Gaul in Roman times). Your statement that the name is patronymic, simple requires you look up dictionary.com search “patronymic”, to find it means denoting or relating to a name derived from the name of a father or male ancestor. In both the above cases of Cain as well as Ham, it is definitely not reference to a pre-flood ancestor. 1: Name words can have ‘word family trees’ without having any relationship to biological ancestry at all. 2: There is no contradiction to the Biblical account of the flood destroying all human life except those on the Ark, so you and I are descendants of either Shem, Ham or Japheth, and as such back through Noah to Adam, and as such, sinners who need a Savour and the only one is Jesus Christ. Make sure He is yours!